About - CAPE Foundation Inc. 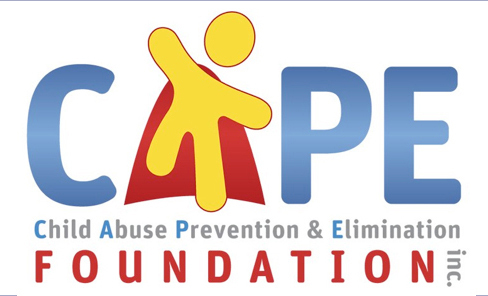 The Child Abuse Prevention and Elimination Foundation, Inc. (CAPE) was founded in 2011 in response to the tremendous number of families in the criminal justice system feeling overwhelmed trying to understand how to help their child after abuse. Many parents articulated and array of feelings—hopelessness, confusion, bewilderment, anger, shock, frustration, guilt--and wanted to know where to go for help. Unfortunately, some families were financially unable to provide the psychological care their child and family needed—either because their insurance didn’t cover mental health needs, or because they were uninsured. CAPE was designed to bridge the gap between funding and mental health care so that no child or family goes without the care desperately needed to heal from abuse. The CAPE Foundation, Inc. operates by a volunteer board. Board members are currently from Southwest Missouri, including Taney, Stone, Christian, Greene and Douglas Counties, and have professional backgrounds in Criminal Justice, Law, Psychology, Social Work, Education and Visual Arts. All members of the Board of Directors are passionate about eliminating child abuse and are active in their respective communities both personally and professionally. The Board of Directors is responsible for all aspects of the Foundation operations, from administrative to public relations and marketing. The CAPE Foundation, Inc. is a non-profit organization as designated by the Internal Revenue Service Code 501(c)3. We are registered with the Missouri Secretary of State and the IRS as Child Abuse Prevention and Elimination, Foundation, Inc.